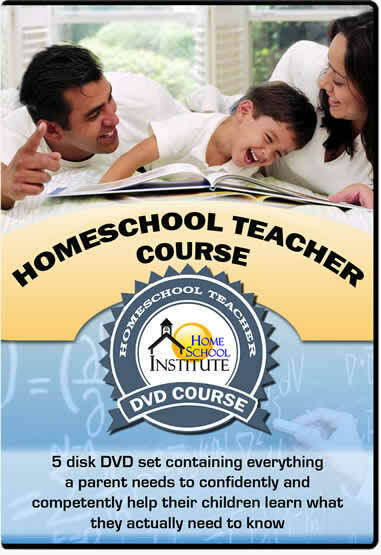 This 5 Disk Course is being made available to the members of the National Home School Association for free to provide parents with exactly what is needed to develop the right mind-set and confidence to be able to help their children to teach themselves everything they need to know. This DVD set contains hundreds of video clips, extracted from presentations that were given by some of the world’s foremost experts on education and homeschooling. Each of the presentations included were originally found on Youtube. A listing of all of the original sources is shown below in the credits. For even more information check out the websites and other great presentations by the speakers included in this course. This first disk will show you some of the reasons why people homeschool, the most common methods that are used and the very dark origins of the public school system. This disk focuses on exposing the truth about what public school is all about and the incredible damage that schools do to children. This disk provides literally dozens of reasons why the public education system is the last place that children should be and how much better homeschooling, unschooling, and democratic schools are. It also covers why rewards are counterproductive, Common Core horrors and the ADD / ADHD fraud. This third disk covers the common reasons why people don't homeschool and why those reasons shouldn't stop you or why they aren't important. It also covers the most compelling reasons to homeschool, where to start, what children actually need to learn, do's and don'ts and the steps to homeschooling. This disk will answer many of your questions and give you further comfort that you are doing the right thing by having made the decision to homeschool. Why don’t more people homeschool? In this disk we cover how people learn, the various learning styles, important aspects of creativity, facts about testing and some tips on socialization. The final disk covers even more important considerations such as scheduling and planning, sleep patterns for teens, record keeping, college considerations, credit by exam programs, support groups and co-ops with a wrap up about the laws and some parting thoughts. With the exception of the original content provided in the narrative transitions presented by our host, all of the content of this DVD set was taken from You Tube videos that either are now or were, at some point, available to the public to see for free. A great many of the clips included come from videos that were posted under a "Creative Commons License" which allows for use of that material in other creative works without infringement on the source materials copyright. Other clips are being used under the "Fair Use" provisions of the copyright laws and still others are being used with the express written permission of the copyright holders. The use of media materials is protected by the Fair Use Clause of the U.S. Copyright Act of 1976, which allows for the rebroadcast of copyrighted materials for the purposes of commentary, criticism and education. The availability of the information included in the 5 Disks shown below is solely for educational purposes. If any of the hundreds of clips that are included in this DVD course were mistakenly included under the belief that they were available pursuant to a "Creative Commons License" or "Fair Use" exemption then please understand that it was not our intent to infringe upon any copyrights. Any such errors should be brought to our attention at once. No fictional works are included and this presentation and it has been assembled for entirely educational purposes. We do not believe that the inclusion of any of the selected clips will harm the original producers ability to profit from their creations as all of the source material used in the making of this Course was found available free to the public. In the event that enough viewers submit requests to have this DVD series delivered to them on physical disks to make it economically viable to produce such sets then those viewers will be asked to pay the actual costs associated with the production, packaging and shipment of those sets. 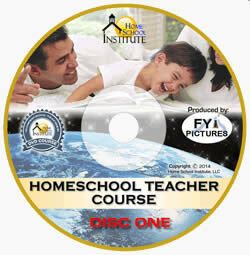 The Home School Institute did not produce this DVD series to make a profit but rather to make sure the information was made available to those who are serious about homeschooling such as the members of the Home Learning Association. PLEASE UNDERSTAND THAT THE USE OF ANY COPYRIGHTED MATERIAL DOES NOT IMPLY ENDORSEMENT BY ITS OWNER. NO MONEY MAY EVER BE MADE FROM THE SALE OR DISTRIBUTION OF THIS COURSE. IT IS FOR EDUCATIONAL PURPOSES ONLY AND OFFERED FOR THE PUBLIC GOOD. The video presentations on this 5 Disk set are intended to provide useful information for its viewers. While the Home School Institute (HSI) has made every effort to select video clips that provide accurate and reliable information, the HSI does not endorse, approve, recommend or certify such information, nor does it guarantee the accuracy, completeness, efficacy, timeliness, or correct sequencing of such information. Information in the video clips may or may not be current as of the date of your viewing, and the HSI has no duty to update and maintain the information, reports, or statements on those video clips. All content in this 5 Disc set is provided "as is." Use of such information is voluntary, and reliance on it should only be undertaken after an independent review of its accuracy, completeness, efficacy, and timeliness. None of the licensors, contributors, sponsors, administrators, or anyone else connected with the video presentations, in any way whatsoever, can be responsible for the appearance of any inaccurate information or for your use of the information contained herein. This DVD Course provides professional information (for example, medical, legal, or financial) for informational purposes only, which should not be construed as advice. No action should be taken based upon any information contained in this Course. You should seek independent professional advice from a person who is licensed and/or knowledgeable in the applicable area before acting upon any opinion, advice, or information contained herein. This DVD Set contains information on medical topics; however there is absolutely no assurance that any information touching on medical matters is true, correct, or precise. The medical information provided in this Course is of a general nature and cannot substitute for professional medical advice, diagnosis, or treatment. Always seek the advice of your physician or other qualified health provider with any questions you may have regarding a medical condition. Never disregard professional medical advice or delay in seeking it because of something you have seen or heard in this Course. The HSI does not recommend or endorse any specific tests, physicians, products, procedures, opinions, or other information that may be mentioned in this Course. This DVD set contains information on legal topics; however there is absolutely no assurance that any information touching on legal matters is true, correct, or precise. The legal information provided in this Course is of a general nature and cannot substitute for professional legal advice. Always seek the advice of competent counsel with any questions you may have regarding a legal issue. As legal advice must be tailored to the specific circumstances of each case, and laws are constantly changing, nothing provided herein should be used as a substitute for the advice of competent counsel. This DVD set contains information on financial topics; however there is absolutely no assurance that any information touching on financial matters is true, correct, or precise. The financial content in this Course is provided for your personal information only and cannot substitute for professional financial advice. Always seek advice of a competent financial advisor with any questions you may have regarding a financial matter. Information in this Course is not appropriate for the purposes of making a decision to carry out a business transaction nor does it provide any form of advice (investment, tax, or legal) amounting to investment advice, or make any recommendations regarding particular financial instruments, investments, or products.